Braidwood Dunes – Weed Control at Braidwood Dunes and Savanna Nature Preserve | ENCAP, Inc.
Braidwood Dunes is a 250 acre forest preserve in Will County undergoing extensive management and restoration activities. 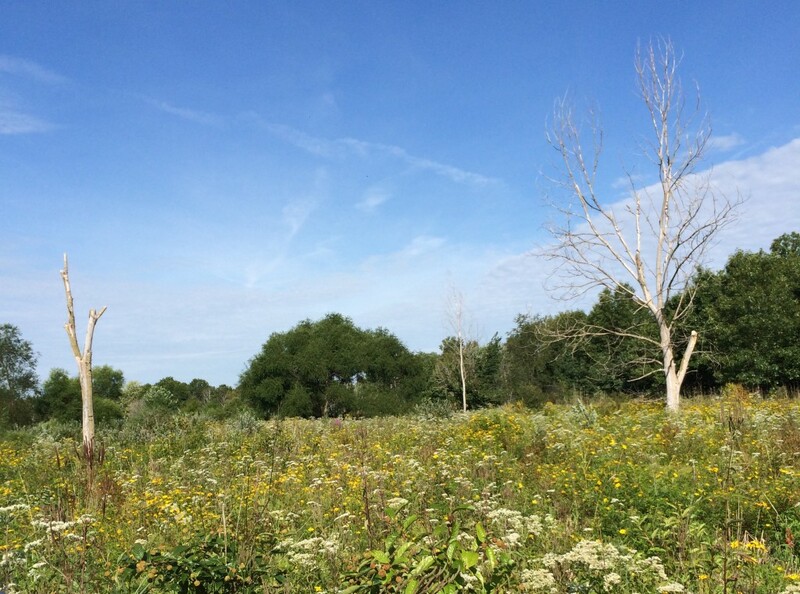 Previous to the contract Encap worked, large areas of wetlands were cleared of low quality woodlands dominated by cottonwood and silvermaple leaving only the oak woods and oak savannah interspersed through a prairie and wetland complex. Now that the primary woody species has been removed, the goal was to tackle the herbaceous weeds and treat woody resprouts and seedlings to allow establishment by the high quality species already present throughout the site.Much of the cleared areas and some disturbed and degraded areas were overrun with populations of reed canary grass, Kentucky bluegrass, thistles and invasive woody species. The contract was broken into 12 areas of focus. Aspen, non-native trees and shrubs, cool season grasses, crown vetch, broom sedge, Reed Canary, Phragmites, Garlic Mustard, Sweetclover, Cattails, Thistles, and Variety weed control. As a one year contract our first step was to prioritize the invasives according to the growing season to take opportunity of the seasonal windows and ensure they were treated before flowering. Second was to determine which tasks could be accomplished simultaneously. Cool season grasses, Reed canary and garlic mustard were the first to be treated as they begin growing early in the season. The grasses were treated with glyphosate and clethodim before the warm season grasses began growing. The garlic mustard was treated with a combination of Element 3A and handpulling to remove populations before flowering. Crown vetch, sweetclover, thistle and variety weed control were treated next using backpack sprayers and Element 3A. As these treatments occurred, any resprouting non-native trees (primarily glossy buckthorn and honeysuckle) and aspens that could be sprayed without excessive damage to the surrounding vegetation were treated as well.Cattails, Phragmites and Broom sedge were treated with glyphosate mid summer when at full growth height using a combination of backpack spraying and backpack wicking.As the season began to cool, the larger Aspen and non-native trees and shrubs were treated with Element 4E using a combination basal bark application and wicking packs. 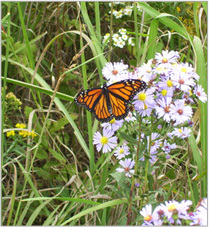 The combination of timing and application techniques provided a highly successful treatment for all species with little damage to the existing native community. All of the contract goals were met.